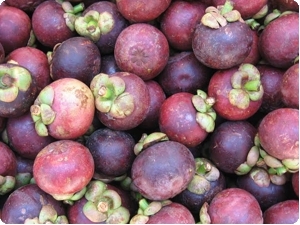 The mangosteen or ‘jobo’ in India is a tropical tree native to Indonesia. Mangosteen has been included within the so-called "super fruit" category and is often used in dietary products due to its powerful antioxidant and anti-aging properties. This fleshy fruit is a round capsule of between 6 and 7 cm in diameter, with a smooth, semi-ligneous, leathery purple rind (or pericarp) which is about 7 mm thick, capped by the prominent calyx, with 4 to 8 sepals at the stem end and flat remnants of the stigma in a rosette at the apex. The edible part is white and juicy with an exquisite flavour. This fruit is consumed fresh ideally when it reaches its optimal state of maturity. 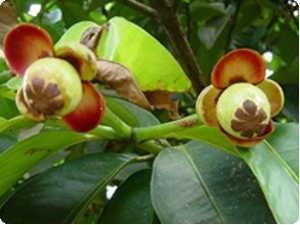 As a traditional medicine in Southeast Asia, the mangosteen is used as an antibacterial and antipyretic. The pulp and above all the crust contain hydroxycitric acid (HCA) which acts as an inhibitor of lipogenesis and thus prevents excess cholesterol. Also, studies have indicated that HCA stimulates the glucocorticoid-receptors of the liver, causing a sensation of fullness and is therefore found in certain treatments for obesity. 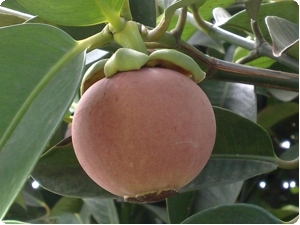 Although scarcely known in the temperate zones of North America and Europe, the mandarin-sized mangosteen is so prized by inhabitants of tropical rain forests that it is almost universally known as "Queen of Fruits" and "fruit of the gods". When ripe, the smooth skin of this fruit turns a dark purple which when removed reveals a snow-white, luscious fruit. Unlike other rare and obscure tropical fruits that require an "acquired taste", the mangosteen has a sweet, mild flavour that appeals to everyone from the first bite. Limited to tropical areas where rainfall is abundant, the mangosteen tree takes ten years to mature and bear fruit. 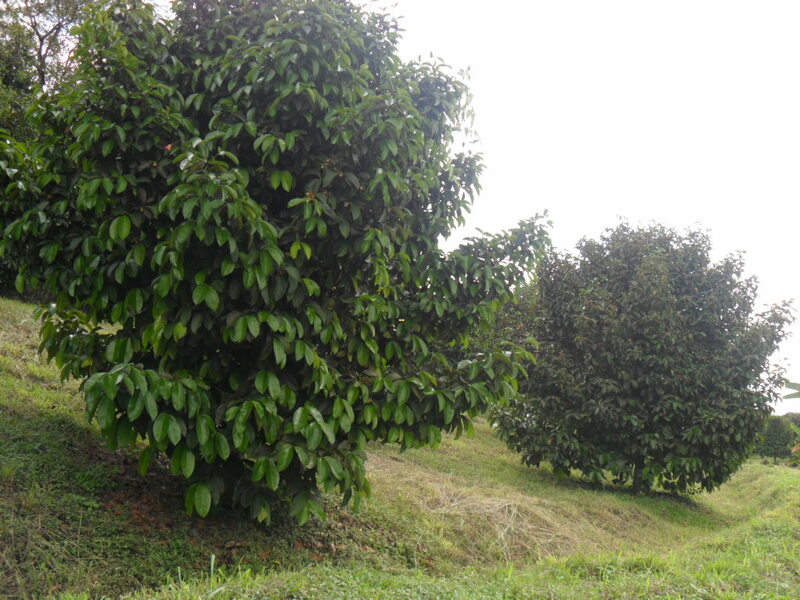 A fully mature tree stands about 80 feet (25 m) and is capable of producing thousands of individual fruits per year. In Southeast Asia where mangosteen is primarily harvested, people value this exceptional fruit for its fine texture and exquisite flavour. In fact when Queen Victoria first tasted this little known produce in the mid-nineteenth century, she swiftly declared it her favourite fruit. While readily available in Southeast Asia, it is only recently that the mangosteen in its whole form has become commercially available in Colombia. Mangosteen Juice is already gaining international recognition as a leading health product, providing balance and support to the human immune system.